You want to know more about Vanellope Driving Slacking? 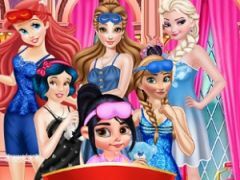 Come and try our latest and most interesting newly added cars game recently added within our site gamesonlinekids.com's category with Wreck it Ralph characters, and let's join your beloved Vanellope within this fun slacking game called Vanellope Driving Slacking, a game where you'll get behind the wheels along with your favorite Vanellope, Ralph's best friend. Vanellope decided to go and visit her bestie, Ralph, but he's a long way distance from her and she needs to take the car and drive at his new place, but Vanellope gets bored quite easily, so she will do all sorts of other things while driving and needs your help to do them in order not to make a car accident. 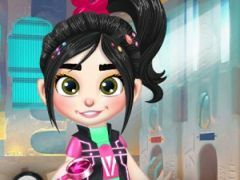 In this funny game Vanellope Driving Slacking, you girls will have to keep Vanellope entertained while she's driving, and do other actions such as eating, texting to Ralph, drinking soda, plucking her eyebrows, applying makeup and many other fun activities while she's driving. 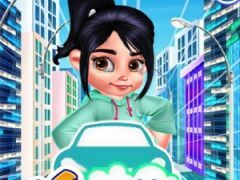 Vanellope Driving Slacking is going to be such a cool game in which you'll have to stay really focused in order not to make a car crash and hit Vanellope's new car. 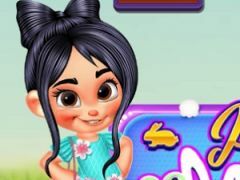 We truly recommend you to stay tuned within our site gamesonlinekids.com, because you'll definitely get to have such a good time along with one of your most beloved character, Vanellope, within this fun game Vanellope Driving Slacking! You want to find more about Vanellope Driving Slacking? The Vanellope Driving Slacking game has part from Wreck It Ralph Games. This game is played by 24 times, have 1 votes (1 likes and 0 dislikes) and his added 13 April 2019. If you want, you can play more games from Wreck It Ralph Games.